One misty, chilly November morning in 1927, a slender, young priest stood before a firing squad in Mexico City. Five shots cracked through the air and he fell lifeless on the ground. The man was Miguel Agustin Pro, S.J. His crime? Being a Catholic priest. As a member of the Society of Jesus, Father Pro had worked hard and patiently to bring bread to the poor and the Holy Eucharist to the faithful. 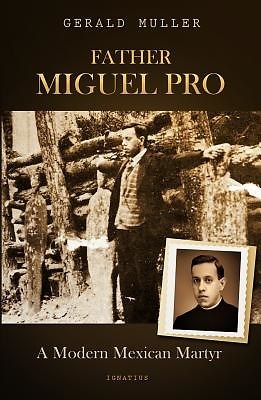 Like all Catholic priests in his day, he was deeply hated and viciously hunted by the secret police and the army of the anti-clerical government of the Republic of Mexico. For this reason, after eluding them many times with secret disguises and hiding places, when he was finally captured, Father Pro was executed without a trial. Father Pro's generous love for the poor, the young, the sick, the tempted, and the spiritually weak attracted many hearts to him, and through him to Christ. In addition to his charity, his wit and courage make him a model for all Christians, especially those being persecuted for their faith and young people, who are inspired by his heroism. Illustrated with photos.